Getting pregnant isn’t always easy, even if you’re in seemingly great health. The truth is, a lot of little things can have a negative impact on your fertility, some of which you’ve probably never thought of before. Some call breakfast the most important meal of the day. While that might not be true for everyone, it could be helpful if you’re worried about fertility. Research published in Clinical Science suggested that eating half of your daily calories in the morning could increase your fertility. Life can be stressful for all of us at times, but it’s also linked to serious health problems that impact nearly every part of your body including the reproductive system. Getting rid of stress sounds easier said than done, but try making small changes in your day. Take a walk, sit in a hot bath, or work meditation into your routine. If you’ve been skipping the dentist, the consequences might stretch further than your teeth. Your teeth are an indicator of your health elsewhere in your body, and bad oral health can cause a lot of problems, including infertility. Several studies have indicated that women who have gum disease take longer to get pregnant. Being a healthy weight (not too high or too low) is crucial for your reproductive system. When you’re at an unhealthy weight, you run the risk of messing with your periods and ovulation cycle. Weight is one of the more common reasons for infertility. In fact, the Society of Reproductive Surgeons reports that 12 percent of all infertility cases are a result of the woman being over or underweight. Taking medication for anxiety or depression helps a lot of people, but research has suggested that these medications can limit your ability to conceive. Antidepressants in particular make your body produce more prolactin, a hormone that interferes with your cycle. Of course, it’s imperative that you talk to your doctor before you stop taking any medication. When you don’t consume the right vitamins and nutrients, you could disrupt your body’s natural production of crucial reproductive hormones like insulin, progesterone and testosterone. When you’re trying to get pregnant, focus on foods with healthy fats, vitamin D, vitamin B6, and zinc. Switching to natural products is a big trend right now, both for the health of your body and the environment. 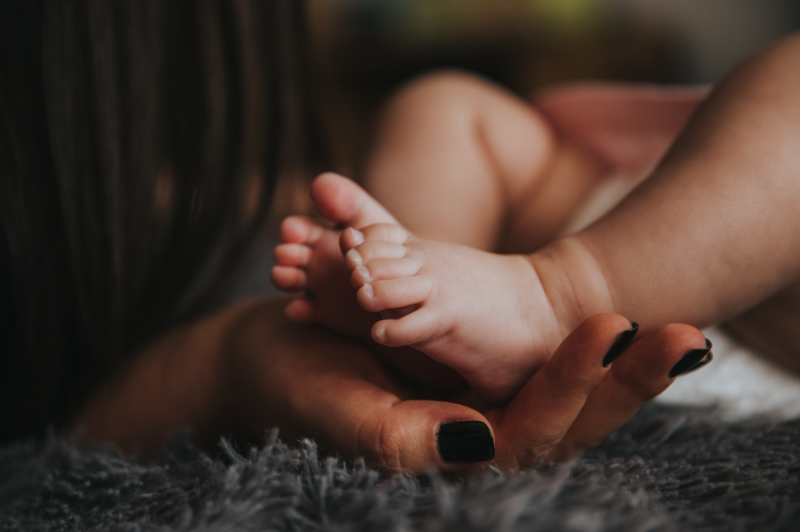 There’s a lot of debate as to whether or not synthetic chemicals are actually harmful, but there’s growing support that synthetic chemicals called phthalates can lead to reproductive harm. This article published by Harvard University claims exposure to phthalates may raise risk of pregnancy loss as well. Phthalates are found in nearly everything, from cosmetics to food, so make sure you’re checking your ingredients labels. Do you stay up late at night on your phone, iPad, or computer? All this artificial light could be negatively impacting your fertility. Research has shown that artificial light at night throws off crucial cycles in your body. This can make it difficult for you to conceive, and can even affect fetal development if you’re already pregnant. Most of us know that sleep is crucial for your health, but still the majority of us don’t get enough sleep every night. Lack of sleep has been linked to a lot of serious, chronic health conditions like obesity, heart disease and high blood pressure. According to Sleep.org, women undergoing IVF who slept for seven to eight hours a night were 15% more likely to conceive than women who slept for less than seven hours. Sunshine can have a big impact on your mood, but studies are showing that it can impact your fertility as well. According to UNC Fertility, a good dose of sunshine can help boost your fertility. Sunshine affects your bodies melatonin production, which has a role in regulating women’s reproductive cycles. There are a lot of factors that can impact your fertility, including genetics and hormone imbalances. If you’re having trouble getting pregnant, you should talk to your doctor. These ten things are just a way to help you look at your daily routine and make some healthy changes.